It's on you, Joe Aresimowicz. For many months, the Democratic Speaker of the House of Representatives has known that the state was facing a multibillion-dollar problem. He knew legislators would have to make painful cuts and find creative and fair ways to raise revenues if they had a prayer of solving it. And they had a deadline. The fiscal year ends Friday. But now, after mustering zero workable solutions over the past few months and with only hours to go, Mr. Aresimowicz has refused to call for a vote on a reasonable stop-gap budget offered by the governor and supported by the Senate's Republican and Democratic leaders. Why? Because, Mr. Aresimowicz said, a temporary solution isn't good enough — but also because the Democrats are on vacation. v"I believe my members are less than likely to hop on planes and leave their families at vacation places all over this country and other countries to come in and do a temporary fix," he told reporters on Tuesday. He refused to identify for The Courant those Democratic state representatives who chose to go on vacation at a critical time in one of the most serious budget crises the state has ever faced. Leaving town this week is a stunning dereliction of duty. Mr. Aresimowicz and the rest of the House Democratic caucus are instead choosing to accept spending cuts so drastic that basic social safety nets for some of the state's most vulnerable will be lost. Cuts to town aid will be so deep that local officials might have to recast their entire budgets. The move also puts the state's shaky credit rating at further risk. Apparently realizing that the legislature is incapable of finding its own elbows, Gov. Dannel P. Malloy earlier this week wisely offered legislators the option of passing a "mini-budget" for the next quarter that would allow for some new revenue (much of it already earmarked for certain programs but not yet spent). Without a budget, the governor can't raise revenue or shift funds. He can only slash millions, cutting services for the sick and the poor and eviscerating school funding grants to towns. The vote on the mini-budget would have to take place Thursday or Friday. If nothing passes by the end of Friday, the governor's executive order budget goes into effect. If Mr. Aresimowicz continues to refuse to call for a vote, the impacts will be felt immediately. It will eliminate services to some clients of the Department of Developmental Services and the Department of Mental Health and Addiction Services. Rental assistance will be slashed by millions. Funding for summer youth jobs will be completely eliminated. School funding will see the biggest cuts if the legislature can't come up with a budget before the fall. How big? Take West Hartford. In the last fiscal year, the city received $20.9 million in state funding for schools. Under the governor's proposed executive order, West Hartford would receive $4.3 million. Simsbury, which received about $6 million last year, would get zero dollars. The most frustrating thing is that through these past few months, the legislature wasted time debating and amending bills that didn't stand a chance of becoming law, and leadership knew it. Mr. Aresimowicz placated members of his caucus by entertaining floor debate on bills such as marijuana legalization that were soon enough left to rot. How could House Democrats have gone months without coming up with a workable, clear, full-spectrum solution to the state's $5 billion budget shortfall? Did they not realize that that was their job? Or did their own internal politicking get in the way? One Democratic effort to fashion a budget failed spectacularly in April when a 262-page detailed spending plan couldn't even get a vote in the Democrat-controlled appropriations committee. In May, Democrats offered a one-page sketch of a plan, along with a spreadsheet containing more details. Since then, nary a peep from the party nominally in control of the legislature. Others had their priorities in order. The Senate and House Republicans, and Mr. Malloy, came up with actual spending plans. Their respective strengths and weaknesses are debatable (Mr. Malloy's budget director Ben Barnes told The Courant's editorial board that the House Republican's plan contained "large pieces of baloney"), but that's the point — they have offered something to debate. What have House Democrats offered? And now they refuse to vote on a measure that would at least keep some basic protections in place. Mr. Barnes warned that if the legislature refused to vote on the mini-budget, there would be a "significant risk" of another bond rating downgrade from Wall Street. "They are paying close attention to what we are doing," he said. 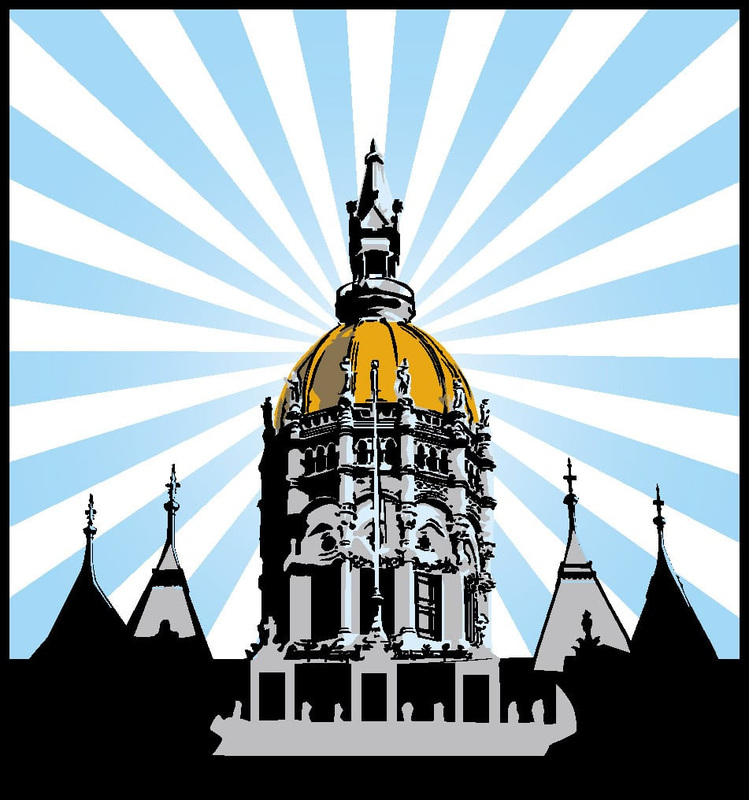 Mr. Aresimowicz's failure to call for a vote, to say nothing of his failure to craft a complete budget proposal that was at least palatable to his own caucus, is an abrogation of a serious responsibility, and the consequences for the people of Connecticut are going to be profound. It's mystifying how legislators could be so cavalier about solving the budget problem, the most important thing they have to do. Connecticut's Democratic leaders need to ask themselves: Whom do you serve? Mr. Aresimowicz, call for a vote.